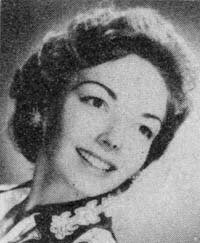 Joanie Hall got her recording career started back in 1955. Woody Fleener had started the Sage and Sand record label and also signed a top vocalist, Eddie Dean. Also signed at that time was the Frontiersmen and Marian Hall as a featured steel guitar player. 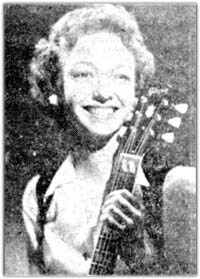 Joanie was called in to sing in a chorus or play rhythm guitar. But she began to get noticed. As the story goes, Eddie Dean told her one day to practice up on her singing a bit as he would soon tell her some good news. Later on, he called to tell her that he wanted her to do a duet record with him. They recorded "Open Up Your Door" b/w "Sign On The Door". After that session, Woody Fleener knew talent when he saw it and signed her to a contract and told her she had just made her first record.